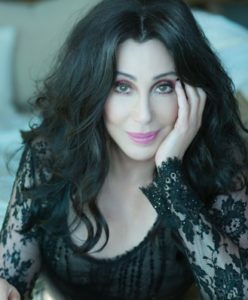 The one and only Cher is set to hit the road with the HERE WE GO AGAIN Tour beginning January 17, 2019 in Ft. Myers, FL. The tour will make a stop in downtown Indianapolis on Valentine’s Day on Thursday, February 14, 2019 at Bankers Life Fieldhouse. The upcoming tour was officially announced during Cher’s appearance on Ellen on September 7th. The Oscar, Emmy, Cannes Film Festival, and Grammy Award winning icon is scheduled to be honored at the Kennedy Center later this year. She is also co-producer of The Cher Show, the upcoming Broadway musical opening December 3rd, and is currently touring Australia and New Zealand. 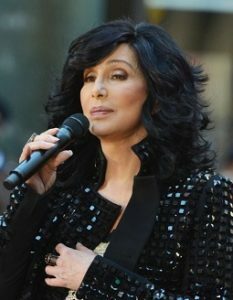 Cher is currently performing a series of residencies in Las Vegas. Tickets will go on sale to the general public starting Friday, September 14 at Noon at LiveNation.com, Ticketmaster outlets, the Bankers Life Fieldhouse box office, and charge-by-phone at 800-745-3000.